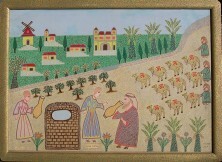 Haim Harbon was born in Morocco in 1900 and moved to Israel in 1903. He worked as a master tailor and began his artistic career in 1965. 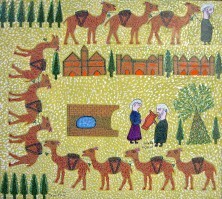 In 1972 he moved to Gan Yavne, Israel and in 1988 he moved to Jerusalem. He died in 1990.